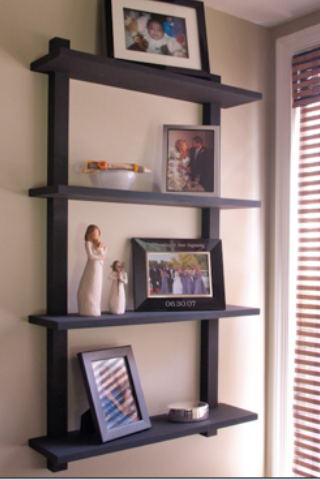 These shelves are made entirely of 3/4″ Birch ply. The edges were banded and filled as needed. The ideas were provided by Lindsay. 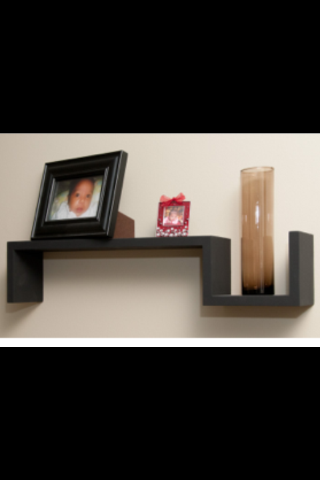 I don’t think there are any fasteners in the larger shelf; it’s joinery and glue.